Get “The Essential Secrets of Songwriting” 6 E-book Bundle, and become a top-level songwriter! There’s a fascinating parallel between the evolution of “Classical” music and the development of rock music. Studying those two genres can give you really interesting insights into songwriting. It’s a bit difficult to consider the Beatles to be the progenitor of all so-called popular music genres to follow, just as one can’t credit Beethoven with everything that happened in Classical music. But certainly you can argue that no one group had the enormous influence on songwriters and performers enjoyed by The Beatles; just as probably, no one composer influenced other writers like Beethoven did. Beethoven’s music, particularly the compositions of the latter half of his career, were mind-boggling to composers of his day. For us, what sounds today like “pretty good stuff,” went far beyond what had been written previously. In short, he blew people’s minds. What Beethoven did that was so radical seems to us today to be somewhat normal, because practically every composer that followed him tried to do the same things: increase harmonic complexity, complicate the notion of formal design, and fundamentally begin the change from a “Classical” (i.e., clean and elegant) concept of music to a Romantic (i.e., emotion-driven) one. You can argue that in their own way, The Beatles did the same thing. It’s hard to know exactly where this change began, (probably in their recording sessions for “Rubber Soul”) but certainly by the time they released “Sergeant Pepper”, the doors were blown off. In essence, The Beatles, like Beethoven in his own era, told the songwriting world that there’s a new way to write. And in each respective era, it seemed that the sky was the limit. You will find people today who just don’t “get” anything The Beatles wrote after 1967. They’re fine with “She Loves You“, but “I Am the Walrus” leaves them feeling confused and even angry. Lennon’s famous (and famously misunderstood) utterance, “We’re more popular than Jesus…” may have been his way of saying something similar. There is no doubt that in their respective genres and eras, both Beethoven and The Beatles changed music forever. Composers such as Brahms and Mahler, who flourished in the decades following Beethoven’s life, constantly compared their musical output to Beethoven. In a sense, almost every composer that followed Beethoven was trying to be Beethoven, such was his impact. In the years that followed The Beatles, many songwriters were, to a certain degree, trying to be The Beatles, in both songwriting and performance style. We usually acknowledge that it takes many decades or even centuries for the true worth of a composer to become apparent. In popular music genres, that translates to years, or a decade or more before we see how powerful their influence will become. But every once in a while, a composer, or songwriter/performer, comes along where it becomes immediately obvious that they are already at the very top of their own genre. There have been fantastic musicians in every genre over the past several generations, but probably no one with the global impact of Beethoven, and no group with the universal clout of The Beatles. 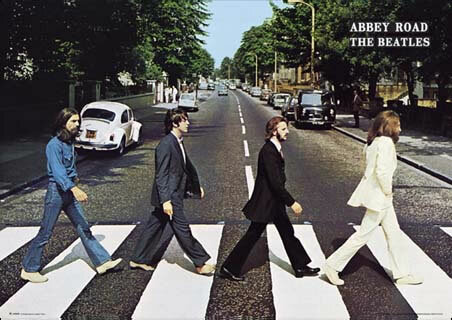 Posted in Songwriting Opinion and tagged Beethoven, composition, influence, style, The Beatles. Interesting! I believe many of The Beatles music was independent from each other. Beethoven…I can only imagine what it was like for people to witness his music first hand when it was new. It must’ve been exhilarating! I’ve heard some stories of his first few big performances that just went over like an alien dropped down in front of everyone. The shock on their faces must’ve been priceless! Some of Beethoven’s music was obviously written to please the masses, but as you say, some of it must have been shocking to people of his day. I do know that for some of that more forward-looking music, Beethoven wouldn’t even attend the premieres… he was pretty sure people wouldn’t get it at all.